Four-color process printed on Side 1 of 12pt C1S White Semi-Gloss stock. Coated with Aqueous Gloss. 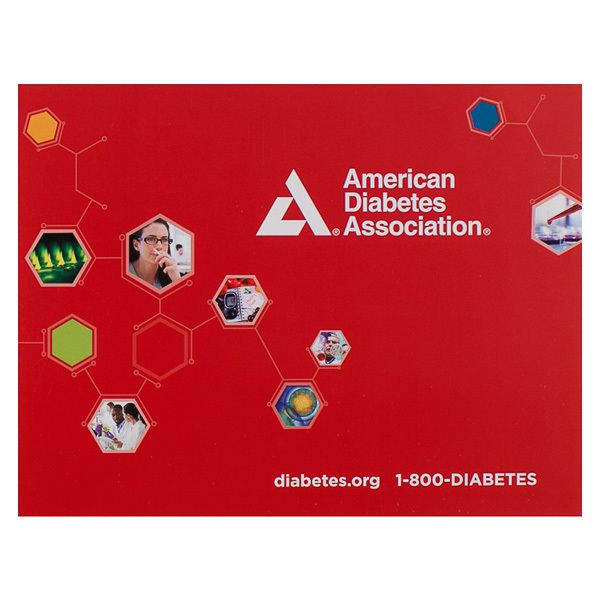 A bright red cover draws attention to this design for the American Diabetes Association. Its logo and contact info appear in white to stand out on the panel. Hexagons and lines on the design represent DNA; some of the shapes frame photos of cells, scientists, and medical testing to depict diabetes research. White inner panels let the eye rest from the energetic exterior and focus solely on the photo in the straight-sided frame. 1 foil stamped area on Side 1 of uncoated 100lb Mahogany Smooth Linen stock. 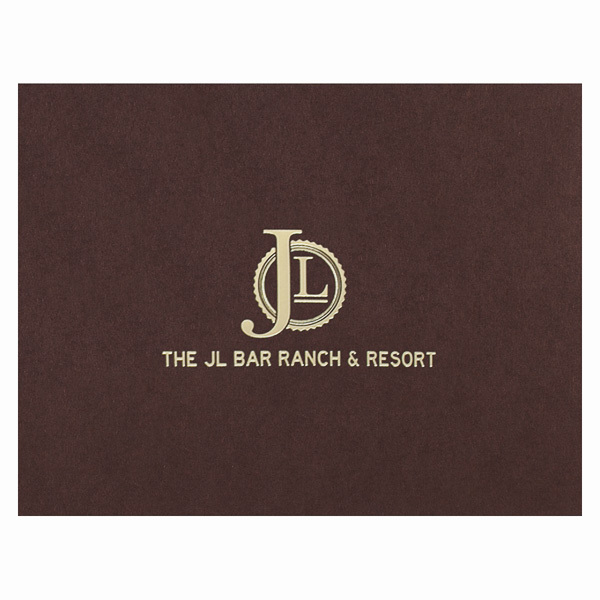 The gold-stamped logo on the front cover of this design fits the JL Bar Ranch & Resort to a tee: the large letter J overlaps a circle, in which readers can clearly see a bar under the letter L. The shiny metallic foil has a luxurious, refined look that's magnified by the mahogany stock. Its warm, rich color mimics the look of campfire wood or a finely crafted leather saddle, making it the perfect match for a ranch's rustic environment. Side 1 printed with four-color process. 12pt C1S Semi-Gloss coated with Aqueous Gloss. Two rows of hibiscus flowers border Ka'anapali Golf Resort's logo. Written in a combination of script and sans serif fonts, the logo takes on the serene look of a tropical-inspired design. Its symbol even resembles the leaves and stem of a hibiscus flower or the wings of a bird, perfect for a resort located in Maui, Hawaii. The background looks like the interwoven grass and palm fronds of a thatched hut. 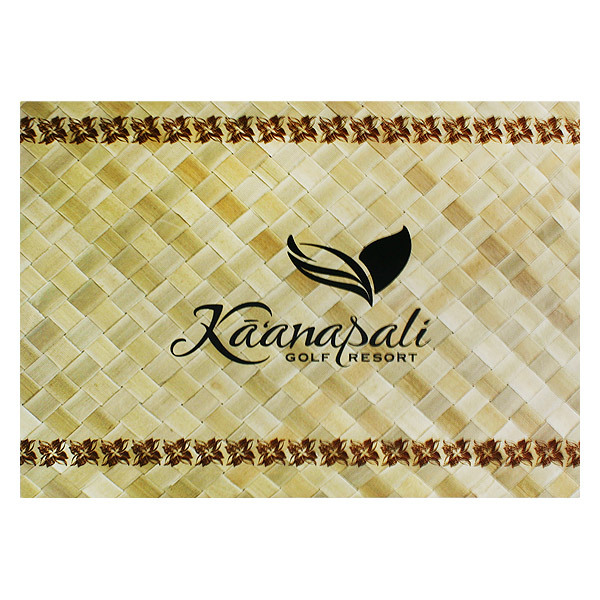 This pattern carries over to the interior, bordering a photo of the recipient playing on the resort's world-renowned golf course. A small caption at the bottom immortalizes the photo's location for the golfer's family and friends. 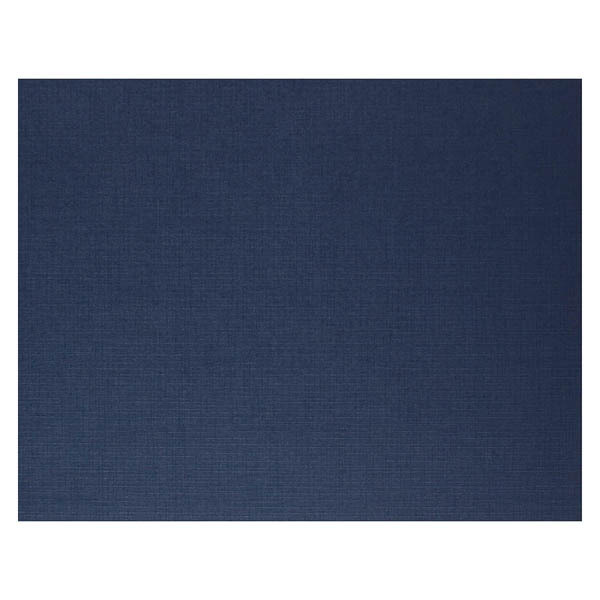 This linen stock's visible texture and dark blue color are dignified and stately, a perfect match for the Indiana State Museum. Inside, Metallic Gold foil text welcomes guests to a bicentennial celebration and a ceremony honoring the state's living governors. The foil's shiny, smooth surface enhances the design's elegance. At right, attendees can place a photo to memorialize their celebration. This product's landscape orientation lets it store and display any horizontally aligned 7" x 5" photo. When closed, the foldable cover keeps the photo safe from travel-related injuries, fingerprints, and other potential damage. Open, the covers stand upright to display the photo within. A deckle cut frame adds a decorative element, as does any text printed on the frame. The outer covers and interior are customizable with your company name, logo, or other relevant information. Dimension Closed: 8 1/2" x 6 1/2"
Dimension Open: 17" x 6 1/2"